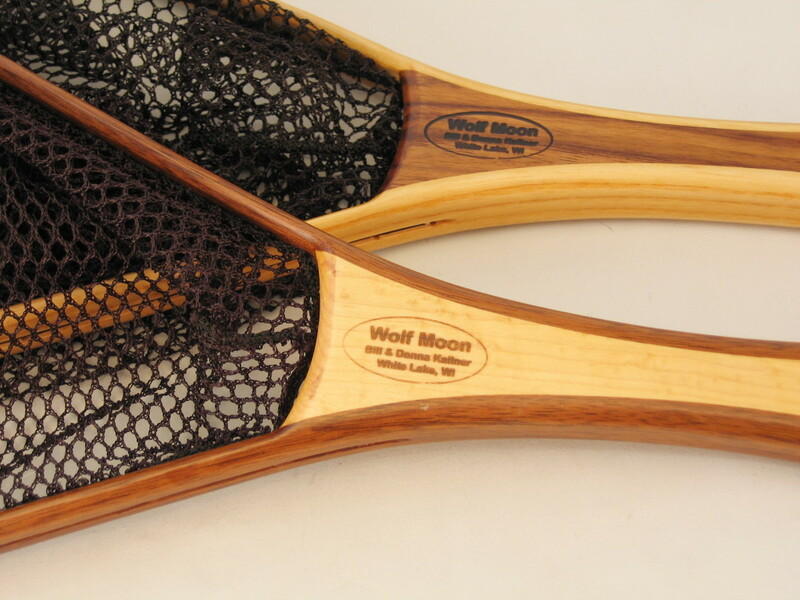 The Wolf River, our best-selling teardrop-shaped net, is our recommendation for folks who want versatility. 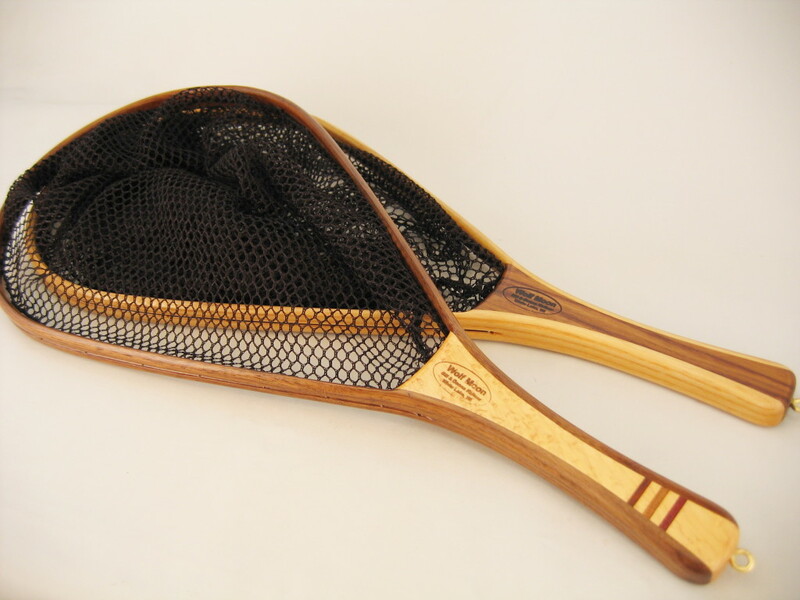 It works as well for small brookies as for 20″ fish. 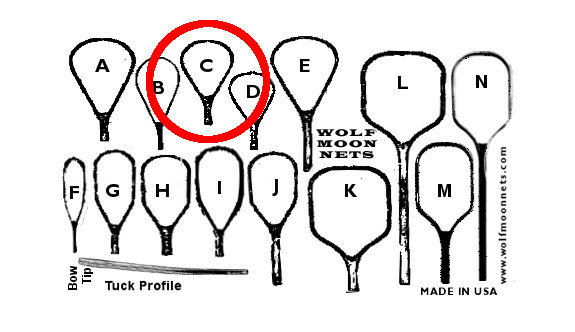 We offer this net with an 8″ or 10″ soft, shallow sack of knotless nylon mesh for catch-and-release fishing. 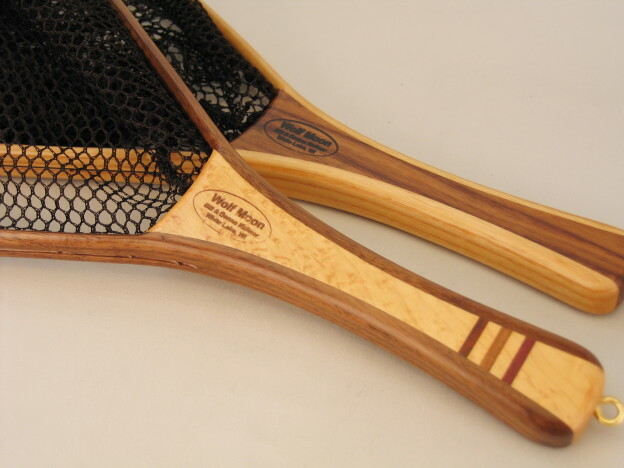 The Wolf River is available with an ash bow and black walnut handle (WRA), or with a black walnut bow and a figured maple handle inlaid with contrasting woods (WRW).